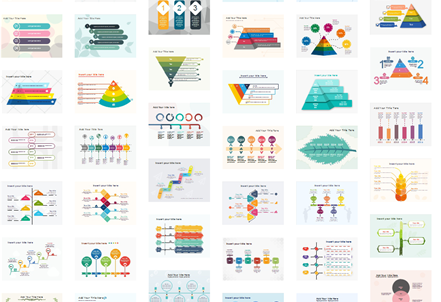 Easy presentation software allows users to create engaging and functional presentations including ppt slide sets, timeline presentation, venn diagram presentation, pyramid diagram presentation, circular and cycle presentation, list and process, arrow presentation, etc. From our program, you can find a large variety of presentation templates that are designed with different styles and multiple purposes. The templates save your valuable time and provide you with professional quality. 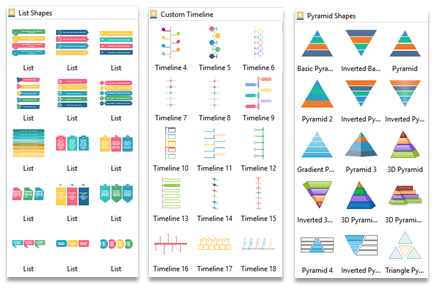 There are a number of creative options, such as: timeline, venn diagram, pyramid, flow chart infographics, data driven diagrams, process diagrams, lists, tree diagrams, matrix charts, and more. We also provide exquisite symbols that you can drag and drop to use. 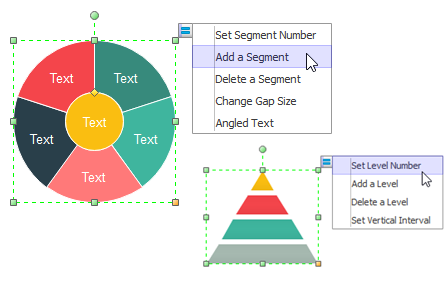 The symbol libraries include basic shapes, arrows, callouts, lines, text blocks, lists, and commonly used diagrams such as venn, pyramid, circular chart, matrix, and more. They are highly customizable in all details, easy to change the fill colors, border colors, transparency, etc. Edraw can export its presentation documents to PowerPoint's format flawlessly with 1 click. Everything is perfect. When you export, you can choose to export 1 page or all the pages, with background or not. 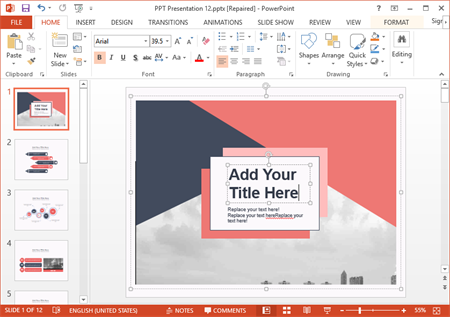 The objects on PowerPoint will remain vector format, which means you can still modify sizes, colors, and position for both texts and shapes. This high compatibility makes it easy to cooperate with others who don't have Edraw. The most outstanding part of our program is its automatic setting function - the floating menus. Many symbols have floating menus, through which you can set how many layers or segments you want the shape to have, how big the gaps, and what style you like. With these menus, a basic symbol can be transformed to a large variety of styles, so that your tailored requirements could be easily fulfilled. The following types of presentation can be easily created with special symbols and templates in Edraw. Best Presentation Software for All Purposes! 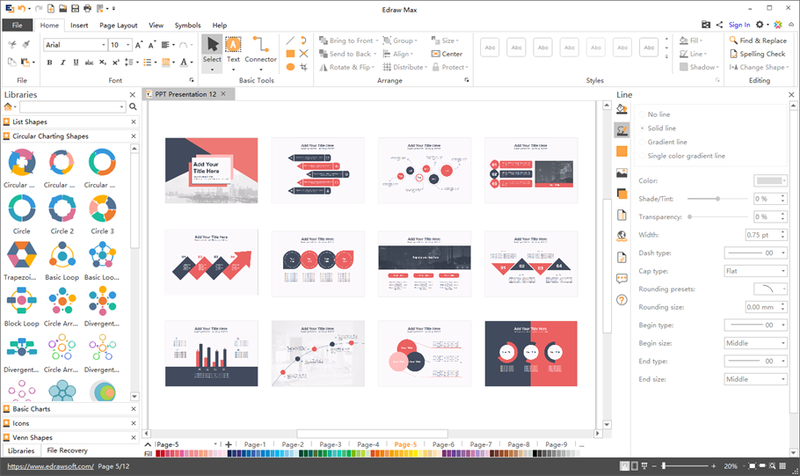 Enjoy an easy and smart way to create stunning and functional presentations with Edraw. It lets you create presentation in a much easier way and allows you to export to common used formats with 1 click. Try it now!